Of all the 100 billion stars in our universe, the one closest to us might just be one that supports alien life, if reports of a new discovery are to be believed. A newly-spotted planet in our galactic neighbourhood might have the right conditions for life, according to reports. The European Southern Observatory (ESO) is expected to make the announcement today at 6pm BST (1pm ET). Earlier this month, reports surfaced of scientists having spotted a planet, which is believed to be ‘Earth-like’, orbiting the star Proxima Centauri, the nearest stellar neighbour to our sun. The researchers were due to unveil the discovery before the end of this month and apparently believe it orbits its star at a distance that could favour life – the so-called habitable zone, claimed German weekly Der Spiegel. At the time, ESO spokesman Richard Hook said he was aware of the report, but refused to confirm or deny it. ‘We are not making any comment,’ he said. ESO has now broken its silence and announced that it will be holding a press conference today. No mention was made as to the subject of the press conference or who would be in attendance. But it has been assumed the purpose will be to address the question that has been on people’s minds. 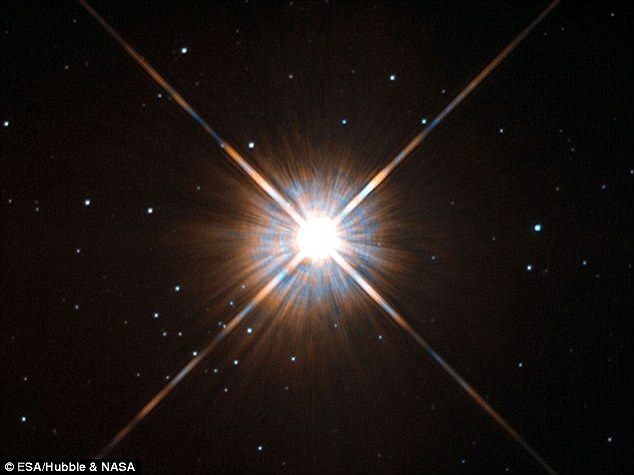 Proxima Centauri is part of the Alpha Centauri star system just 4.2 light years from our own solar system. It is the closest star to our own, which means planet orbiting the star would be the closest exoplanet to Earth. Discovered in 1915, Proxima Centauri is one of three stars in the Alpha Centauri system, a constellation mainly visible from the southern hemisphere. The planet is thought to be in the star’s ‘habitable zone’ – an area around a star in which an orbiting planet’s surface could hold liquid water. ‘The still nameless planet is believed to be Earth-like and orbits at a distance to Proxima Centauri that could allow it to have liquid water on its surface – an important requirement for the emergence of life,’ said the magazine, quoting anonymous sources. ‘Never before have scientists discovered a second Earth that is so close by,’ it said. According to Der Spiegel’s unnamed source, whom they claim was involved with the La Silla team that made the find, this latest discovery was the result of intensive work. For over a century, astronomers have known about Proxima Centauri and believed it is part of a trinary star system, along with Alpha Centauri A and B. ‘The discovery of possible planet around Proxima Centauri is very exciting,’ Professor Phillip Lubin, from the University of California, Santa Barbara, told Universe Today. Located just 0.237 light years from the binary pair, this low-mass red dwarf star is also 0.12 light years closer to Earth, making it the closest star system to our own. 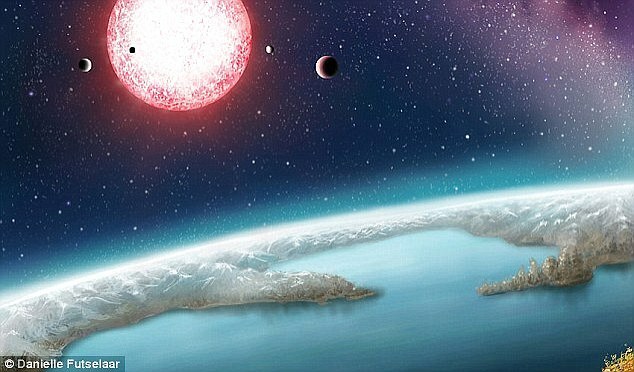 Last year, the US space agency unveiled an exoplanet that it described as Earth’s ‘closest-twin’. Named Kepler 452b, the planet is about 60 per cent larger than Earth and could have active volcanoes, oceans, sunshine like ours, twice as much gravity and a year that lasts 385 days.